WASHINGTON A House panel said Wednesday it believes federal courts have the authority to decide a dispute in which Attorney General Eric Holder is refusing to provide Congress with Justice Department documents about a botched criminal investigation into gun-trafficking on the Southwest border. In a 65-page filing about Operation Fast and Furious, the House Oversight and Government Reform Committee said federal courts have routinely reviewed the validity of congressional inquiries. 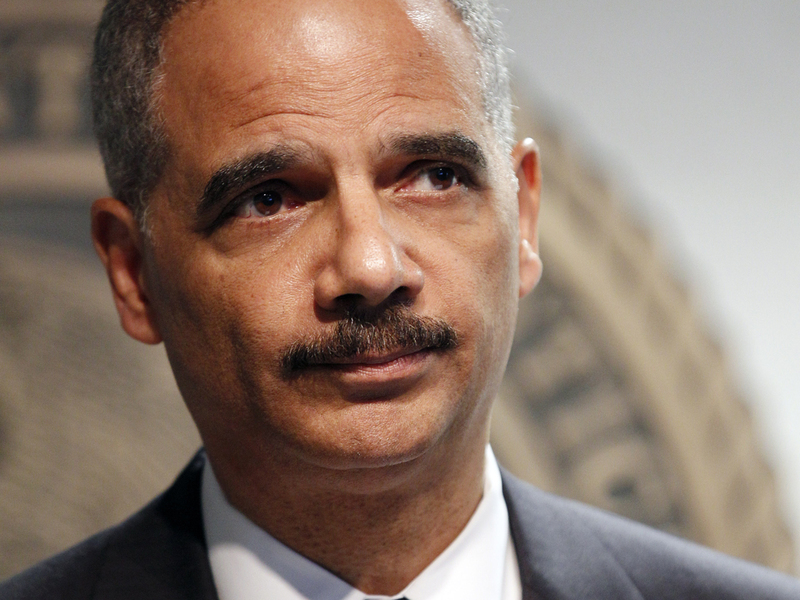 The lawyers for the House said Holder's contention that courts cannot adjudicate political disputes would permanently shut the courthouse doors to virtually all disputes between the executive and legislative branches. In court papers filed last month, the Justice Department said the courts must defer to the time-tested political process of stepping aside and letting Congress and the executive resolve their political differences. "Labeling a dispute 'political' is not a legal argument; it is a talking point masquerading - poorly - as an argument," said the filing for the committee chaired by Rep. Darrell Issa, R-Calif. "Federal courts have been deciding cases regarding the executive's compliance with subpoenas since the earliest days of the Republic." In the dispute over Operation Fast and Furious, President Barack Obama has invoked what is known as executive privilege. The Republican-run House in June voted Holder in contempt of Congress for refusing to turn over subpoenaed records that might explain what led the Justice Department to reverse course after initially denying that federal agents had used a controversial tactic called gun-walking in the failed law enforcement operation. "It is no exaggeration to say that if the courthouse door is closed to Congress in subpoena enforcement cases of this nature, the executive's incentive to respond to congressional requests for information largely will disappear and, with it, effective congressional oversight of the executive branch," the House's court papers said. In Fast and Furious, agents from the Bureau of Alcohol, Tobacco, Firearms and Explosives abandoned the agency's usual practice of intercepting all weapons they believed to be illicitly purchased, often as soon as they were taken out of gun shops. Instead, the goal of the gun-walking approach was to track such weapons to high-level arms traffickers who long had eluded prosecution, and to dismantle their networks.